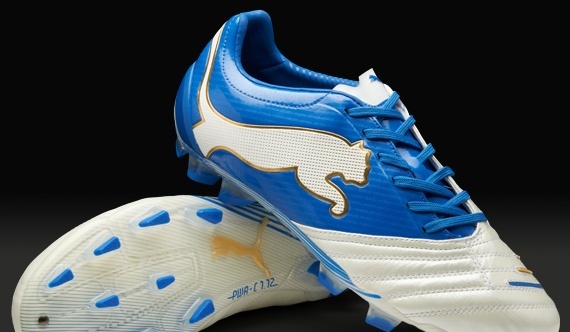 The new Puma PowerCat 1.12 has a super soft, premium K-leather for enhanced comfort which provides a perfect fit. A Microfiber material supports the midfoot, to minimise weight and creates innovative look. A less off-centred lace system is used compared to previous PowerCat boots which will provide a superior fit and comfort. Whilst asymmetrical external TPU-injected heel counter provides optimal support, stability, and protection. 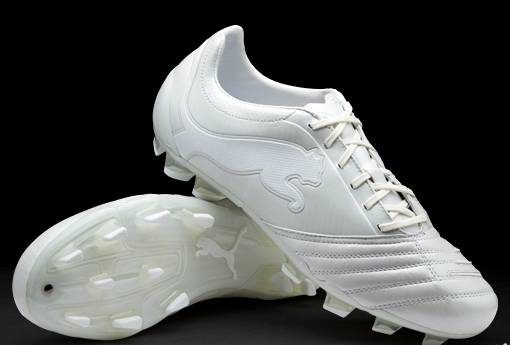 The second generation of the POWER silo focuses even more on the performance aspect, such as the unique PUMA Shooting Technology. 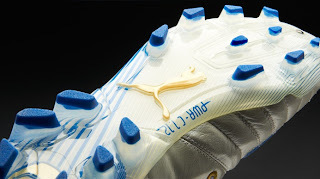 The PowerCat 1.12 will increase kicking power and offer improved grip with the ball thanks to the PUMA 3D PST DUO which is located on the kicking area. This PUMA 3D PST DUO technology device is made of an innovative thermoplastic material used in two different degrees of hardness. Consequently the PUMA 3D PST DUO will not absorb energy upon ball impact but increases kicking power. 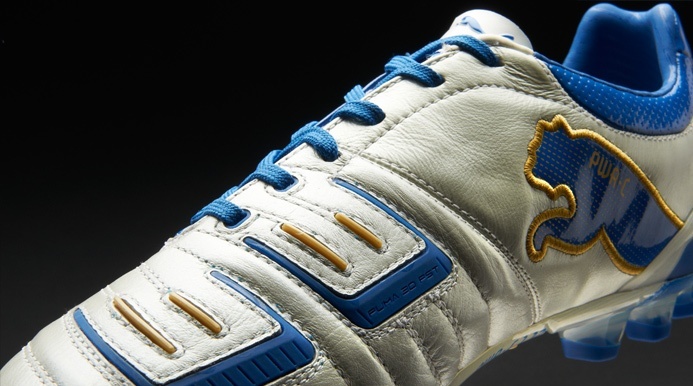 Inside the PowerCat 1.12 Football Boot memory foam is inserted into the heel lining making for a soft and comfortable fit whilst a lightweight anatomically-shaped sockliner provides excellent cushioning properties. 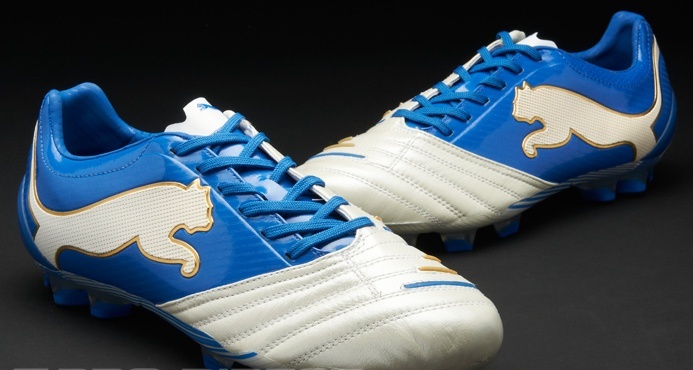 A new anatomically-shaped PUMA PowerLast is an evolution of the PUMA AptoLast. This PUMA PowerLast provides more volume in the forefoot and instep. It follows the foot’s natural contours, provides a glove like fit, and allows the upper to mould to the player’s foot. This version of the Puma PowerCat 1.12 has a lightweight TPU injected outsole with a bladed stud configuration, which ensures smooth ground penetration and pressure distribution, while providing maximum traction and manoeuvrability on dry and firm natural surfaces.